RovoCam’s marriage of lens to delivery begins with superior Sony optics, complete with built-in 12x optical zoom and up to 20x zoom with Sony Super Resolution Zoom and autofocus or manual focus capabilities; all easily controlled remotely via Sony's VISCA protocol. HDBaseT sits at the heart of RovoCam. RovoCam is small enough to fit in the palm of your hand. Built of rugged aluminum, RovoCam is reliable and built for serious use, and its light weight and compact body allows simple mounting in a wide range of scenarios. From tripod, stage, conference room to security camera mounts, RovoCam can go wherever you need it to. RovoCam is also compatible with standard Sony outdoor housings, ensuring reliable performance in all outdoor environments. RovoControl is free software from AJA for macOS, Windows and Linux designed to be a simple application for controlling one or multiple RovoCams, offering easy control of all the main camera features like zoom, iris and focus. 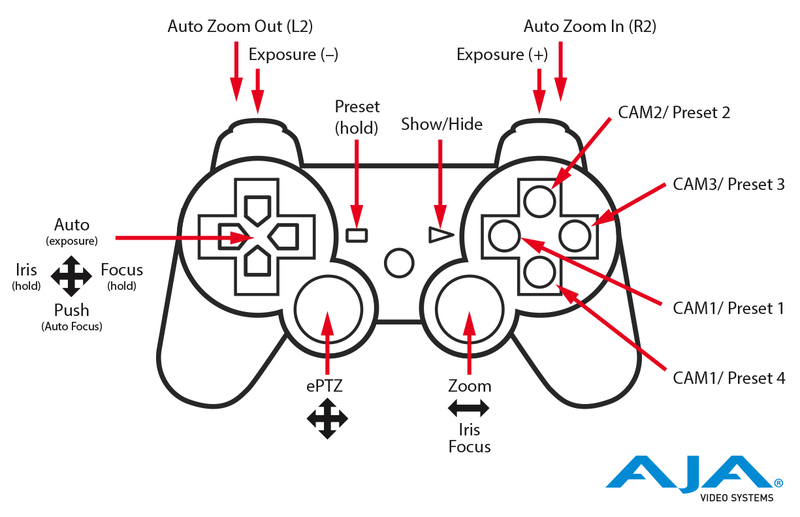 Work your way, whether a fan of compatible joystick driven hardware or new USB controller support through RovoControl configuration, or through software like RocoSoft’s PTZJoy Camera Control Software or Serial Port Tool's PTZ Controller (version 3.2) or more; you’re in control. RovoRx-HDMI, it is only output via the RCA 2 channel connection.